Employers should take care to ensure that they are withholding the right amount of tax for each of their employees. If you are unsure, see your registered tax agent who can assist you to meet your withholding obligations in respect of your employees. In the previous issue of TaxWise, we noted that the taxation of LAFH allowances would remain in the FBT space. However, due to the tightening of the availability of the concession, significant changes have been made to the provisions in the FBT law. The ATO has published detailed information relevant for employers with employees subject to a LAFH arrangement on their website (see link http://www.ato.gov.au/businesses/content.aspx?doc=/content/00333689.htm). There are also transitional rules which apply to arrangements that were in place at 7.30pm on 8 May 2012. The new rules will apply to these existing arrangements on the earlier of the existing arrangement changing (after 8 May 2012) or 1 July 2014 when the transitional period ends. The ATO has also issued a draft Taxation Determination TD 2012/D8 entitled “Fringe benefits tax: reasonable amounts under section 31G of the Fringe Benefits Tax Assessment Act 1986 for food and drink expenses incurred by employees receiving a living-away-from-home allowance fringe benefit, for the period from 1 April 2013 to 31 March 2014” which sets out the reasonable amounts of these expenses for which no substantiation (ie written documentation) by the employee will be required. These amounts also help employers to work out the exempt components of the benefits provided. For employers wanting more information about the new reasonable amounts that will apply so they can assist their employees who are under LAFH arrangements, a copy of the draft Taxation Determination can be accessed here (http://law.ato.gov.au/atolaw/view.htm?docid=DXT/TD2012D8/NAT/ATO/00001). If you have employees who are subject to a LAFH arrangement, speak to your tax agent to find out how the new rules might affect your current arrangements with your employees and how this may impact your reporting obligations in relation to these employees. We have noted in previous issues of TaxWise the introduction of the loss carry-back measure that is to start in the 2012-13 income year. The measure will apply to companies (and entities taxed like companies) who will be able to carry back up to $1 million of tax losses incurred in the 2012-13 year to offset against tax paid in the 2011-12 income year. From the 2013-14 income year, tax losses will be able to be carried back and offset against tax paid up to two years earlier. Since the last edition of TaxWise, the Federal Government issued Exposure Draft legislation on the measure and it is anticipated that a Bill containing the measures will be introduced in the Spring Parliamentary sittings (ie by 29 November 2012). If the current income year is not looking so great and you think you may incur a loss this income year (though it may still be a little early to predict this), you should see your registered tax agent to discuss how these rules might apply to you. This will help you to start to plan for your 2013 income tax obligations. The Government also recently released Exposure Draft legislation to clarify the operation of a provision in the tax legislation that inhibits a taxpayer from getting a refund of GST already paid to the Commissioner if it turns out GST was overpaid because a supply was treated as a taxable supply and it is later determined that the supply was incorrectly treated that way. The measure applies to all net amounts of GST worked out in GST periods commencing on or after 17 August 2012. The Exposure Draft legislation makes it somewhat more difficult for a taxpayer (usually a supplier who supplies goods and services and is ordinarily liable for GST on those supplies) to obtain a refund of GST that has been overpaid unless it can show, for example, any GST it collected from a customer has duly been returned to that customer. This particular provision has caused much consternation for taxpayers with GST obligations and, depending on the final version of the legislation that is passed through Parliament, may continue to do so. A Bill is also expected to be introduced into the Spring Parliamentary sittings. Businesses with GST obligations may wish to speak with their tax agents about the possible implications for them of this new measure. In the previous edition of TaxWise, we outlined the ATO Compliance Program that applies to small and medium enterprises (SMEs) for the 2012-13 income year. In addition to this, the ATO has issued a specific information publication in relation to the broader compliance obligations of SMEs. The publication is called “Tax compliance for small-to -medium enterprises and wealthy individuals”. You can access a copy of the publication here (http://www.ato.gov.au/businesses/content.aspx?doc=/content/00129961.htm). The ATO has also issued a guide specifically catering for the GST compliance obligations of SMEs. The guide is entitled the “GST governance and risk management guide for small-to-medium enterprises”. The guide contains two checklists, a simple version (for businesses with a turnover between $2 million and $10 million) and a more comprehensive version (for businesses with a turnover above $10 million). The purpose of the checklists is to assist SMEs to understand and meet their GST obligations and identify any areas that might need improvement (such as systems used to record GST obligations). You can access a copy of the guide here (http://www.ato.gov.au/businesses/content.aspx?doc=/content/00297537.htm). If you run a company, you may be interested to know that the Treasurer has set up the Business Tax Working Group (BTWG) which has been given the task of finding ways the business tax system can be amended to assist businesses to respond to the current tough economic environment. One change they are considering is a possible cut to the company tax rate, though this is likely to involve the removal of some business tax concessions if it is to go ahead. The BTWG is currently examining their options. The BTWG expects to issue their final report on this matter in December 2012. In the previous edition of TaxWise, the small business benchmarks were mentioned as a tool that would be used by the ATO during their Compliance Program which applies for the 2012-13 income year. Since the last issue of TaxWise, the Inspector-General of Taxation released his report on the “Review into the ATO’s use of benchmarking to target the cash economy” in early October. The Inspector-General made 11 recommendations to the ATO for the purpose of improving the way the ATO utilises benchmarks to determine whether certain businesses in particular industries have declared all their income that they are likely to have derived. The ATO has agreed to 9 of the recommendations in full and two in part. Businesses in industries such as hairdressers, beauticians, newsagents, coffee shops, restaurants and take away food shops, and clothing retailers with typically high cash sales are just some examples of industries where the benchmarks are likely to be applied. These types of businesses should see some changes in the way the ATO applies the small business benchmarks to them as a result of the recommendations the Inspector-General made to the ATO and to which the ATO have mainly agreed. A link to the factsheet can be found here (http://www.ato.gov.au/content/downloads/SME00329712.pdf). If you have a non-resident business and need to apply for a tax file number and/or Australian Business Number for the business, the ATO requires new “proof of identity” standards to be met. These are outlined in a new document they have published called entitled "Proof of identity – for individuals and businesses resident outside Australia". A link to this publication is here (http://www.ato.gov.au/businesses/content.aspx?doc=/content/00124974.htm). You should speak to an Australian registered tax agent for assistance with these registrations. Mixed business (eg milk bar, general store, convenience store). If your business is one of these, it might be worth your while having a look at TD 2012/20 and familiarising yourself with the amounts specified in there relevant to your type of business. A link to the Taxation Determination can be found here (http://law.ato.gov.au/atolaw/view.htm?docid=TXD/TD201220/NAT/ATO/00001). The ATO has issued a factsheet to assist trustees to manage the tax affairs for the trust (or trusts) for which they are responsible. The factsheet provides guidance to preparing the tax return for the trust as well as some key points to preparing the statement of distribution. The factsheet is called “Reporting trust income and distributions – common mistakes to avoid and changes in 2012” and can be found on the ATO website here (http://www.ato.gov.au/content/00332207.htm). 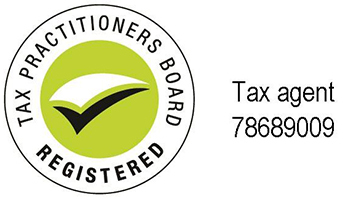 If you are a trustee, it is always advisable to speak to a registered tax agent about the tax obligations of a trust to ensure you are aware of those obligations, are able to meet them or can get the assistance you might need to meet those obligations. If your business pays PAYG Instalments, there may be an opportunity for you to change this so your business can account for PAYG Instalment obligations on an annual basis rather than the report and pay on a quarterly basis. Your tax agent may already have received a letter advising which of their clients may be entitled to make this change (which could include your business). Though the cut-off date was 29 October 2012, this may be something to keep in mind for next year. Your tax agent can give you all the details you need to know about having annual rather than quarterly PAYG instalment obligations. Recently, the ATO updated the ruling it has issued on adjustments a taxpayer, who is able to claim input tax credits for GST paid on inputs for taxable supplies it makes, is required to make where there are changes to the creditable purpose for which certain acquisitions are made. If there are changes to the creditable purpose for which you make certain acquisitions, this will affect the amount of input tax credits you can claim for the GST paid on the acquisition. For example, if you buy a computer to use in your business, the amount of input tax credit you can claim will be impacted by the extent to which you actually use the computer for your business. If you had planned to use it 100% in your business, but end up using it for private purposes 25% of the time and only 75% of the time in your business, this affects the amount of input tax credit you can actually claim. Your registered tax or BAS agent will be able to assist you in working out the amount of input tax credits you are able to claim. If you are unsure about the amount of input tax credits you are allowed to claim for certain assets you have bought for your business where you have, for example, ended up using the asset partly for private purposes, seek advice from a professional who can advise you on how you have actually used the asset might affect your ability to claim input tax credits. In October 2012, the ATO published a guide for employers which covers all types of tax issues that an employer may come across, including preparing to hire employees, registrations the business will need when it hires employees, reports an employer needs to complete for tax payments withheld from amounts paid to employees (including Payment Summaries for employees) and what happens when an employee stops working for you such as final withholding payments an employer may have to make. Even if you have been in business for a long time and have experience dealing with employees, it may be useful to have a look through the guide and a refresher regarding your obligations. You can locate a copy of the guide through this link (http://www.ato.gov.au/businesses/content.aspx?menuid=0&doc=/content/00292769.htm&page=1&H1). The ATO held in September 2012 information sessions to help super funds and employers get ready to adopt the new data and e-commerce standard, which is being introduced as part of the Government’s super reform agenda. Copies of the information presented at these sessions can be found on the ATO website through this link (http://www.ato.gov.au/content/00333810.htm). Business owners who employ staff and have superannuation guarantee obligations to meet for their staff should have a look at the information provided about the new standard to ensure they understand the new standard and when it will start to apply. If you are an employer and are unsure of the new requirements, see your tax agent who will be able to assist you.